Avoid the frenzy associated with last minute event planning. 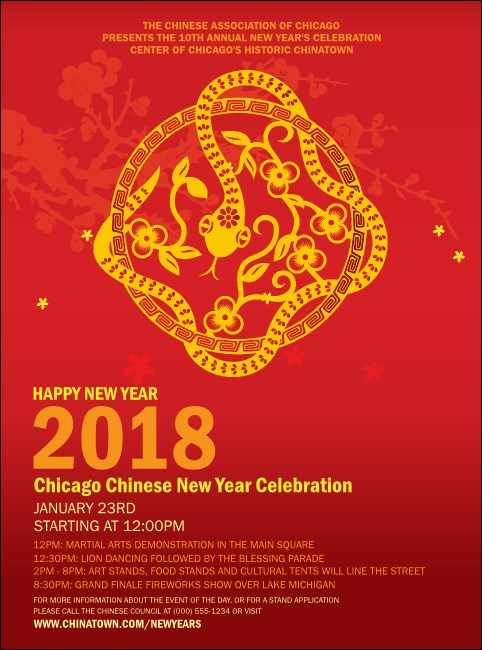 Start your year off on the right foot (or no feet, if that's how you slither) with the Chinese New Year Flower Snake Flyer. Adorned with a traditional paper cut style design featuring the wise and placid snake twisting among different types of flowers in yellow and red. Ticket sales are blooming at TicketPrinting.com.